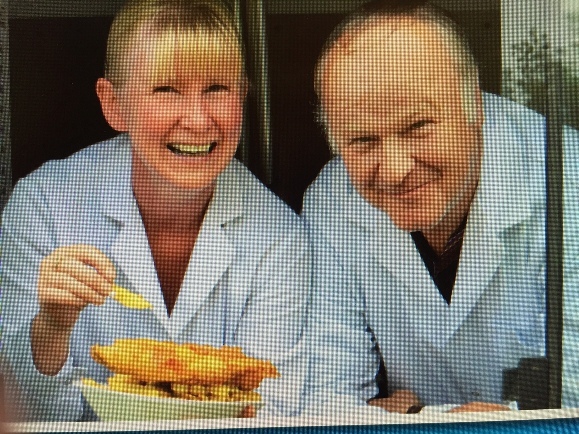 Ramsay’s Fish and Chips has become a firm family favourite throughout the Yorkshire Dales, with households planning their weekly meals around visits from the van, and during 2019 the mobile takeaway will celebrate an impressive 38 years of serving suppers. It all started when farm labourer, Richard Ramsay, and his wife, Pauline, realised that with a five-month-old daughter to look after they would need to find an inventive way to increase their income. Wanting to spend more time together, Richard was chatting in the pub one Friday evening about there not being many fish and chip shops in the Yorkshire Dales. Unbelievably, on Monday morning whilst reading the local paper there was an advertisement showing a fish and chip van for sale. Richard said: “We can’t quite believe we’ve had the van for 38 years. We’ve served families for three generations throughout the Dales and have an archive of stories to tell as a result. Ramsay’s Fish and Chips has attracted national and even international attention over the years with appearances on television programmes, a spot on the Welcome to Yorkshire advert and customers from as far afield as Australia making annual trips for their “chippy tea”. Visitors regularly comment that they can’t imagine a holiday without their haddock or cod supper and having only ever missed five evenings due to extreme weather and illness, there’s no surprise that families throughout the Dales continue to rely on their favourite “fast food” outlet. The van visits different villages on a set route from Tuesday to Friday and can be found in Swaledale, Wensleydale and Coverdale.